I get asked — a lot — how I come up with a new story. The answer is pretty simple: I do research and the research tells me the story. Some years ago I was inspired to write a screenplay. I’d been an instructional designer and trainer for decades, during which time I’d written training video scripts and audio scripts. Those scripts were based on interviewing the target audience for the training, and what the nonfiction scripts have in common with the fictional ones is a specific architecture that dictates what the content and format of the text should be. What the writer has to do is populate the architecture with believable dialogue and character interactions. For the screenplay, my research involved talking to enthusiastic young men, a couple of them missing important teeth, about paintball. I also called and spoke to a yacht salesman about what yacht chartering involved, and found out during the call that yes, Virginia, there really are pirates in the Caribbean. In case you ever encounter them, here’s what to do: Immediately give them everything they want and proceed to sail away still alive. Or don’t comply with their demands, and sail away dead after they take what they wanted after making you be dead. I also spoke to retired Navy personnel about what it was like to sit offshore on the carrier USS Essex and watch the Bay of Pigs invasion go all wrong. 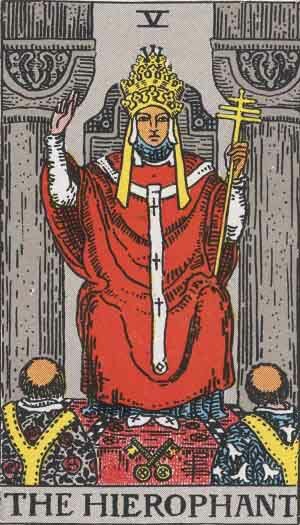 So anyway, when I’m ready to start a new story, in the current case “The Hierophant Card,” I haul out my stack of tarot reference books and start typing notes. Page after page of notes. 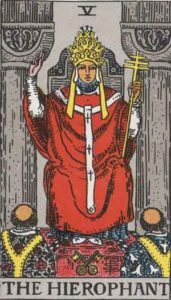 Then I go looking online for more information about the card in all its versions and interpretations around the world. Sooner or later a story idea emerges and I’m off and running.